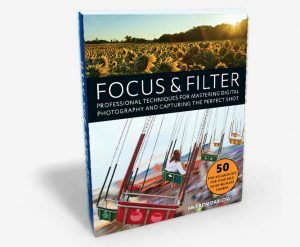 Many of the tips and techniques covered will be from Darlow’s award-winning and Amazon best selling book, Focus and Filter (Published by Ulysses Press). Each attendee will receive a printed handout to refer to and take notes. 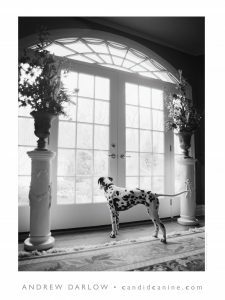 EARLY BIRD REGISTRATION BONUS: Register by April 1 and receive a signed 18x24 inch print by Andrew Darlow entitled: “Dalmatian Contemplation” ($35 retail value) at the workshop. Please note: This is a lecture-style workshop geared primarily toward DSLR and Mirrorless camera users, but mobile phone users should also find much of the content very useful. We highly recommend bringing a camera and lens (but please don’t bring a large bag full of gear due to space constraints). 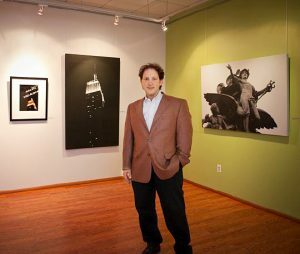 Andrew Darlow is a New Jersey-based photographer, educator and consultant. Over the past 25+ years, he has taught amateur and professional photographers how to improve their photography, workflow and digital print output at conferences, industry events, and educational institutions, including the PDN PhotoPlus Expo, the Arles Photo Festival (Arles, France), Columbia University, and the International Center of Photography (ICP) in New York. His work has been included in many solo and group exhibitions, and his prints are held in numerous private collections. Darlow’s articles and images have been included in many publications, websites, books and TV programs, including Animal Planet, People Magazine, NJ.com and CBS News. He’s the editor of imagingbuffet.com and the author of four books, including his newest book, Focus and Filter: Professional Techniques for Mastering Digital Photography and Capturing the Perfect Shot (Ulysses Press). An Amazon Hot New Release and No. 1 Best Seller, Focus and Filter received an award at the 2018 International Book Awards. For tips from the book and to download a 25 page PDF excerpt, visit www.FocusAndFilter.com. *If your preferred time slot has already filled you may be offered to select the other time slot.